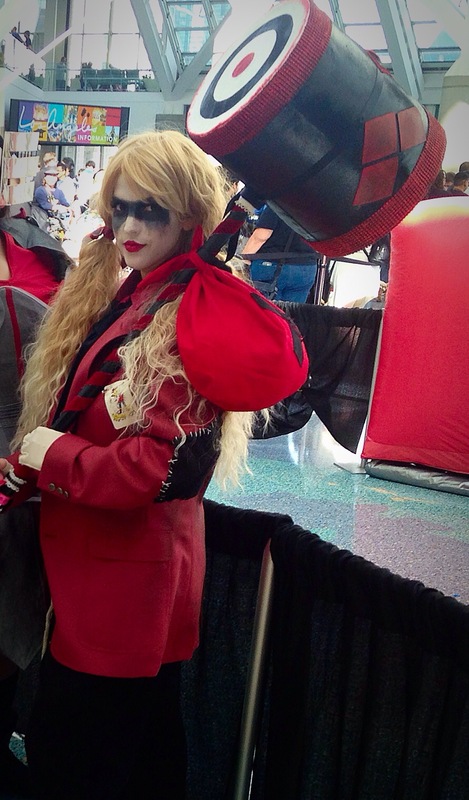 For me the most essential part of a DIY Harely Quinn cosplay is an iconic Harley Quinn prop! This is how I made a Harley Quinn hammer (also called a mallet). 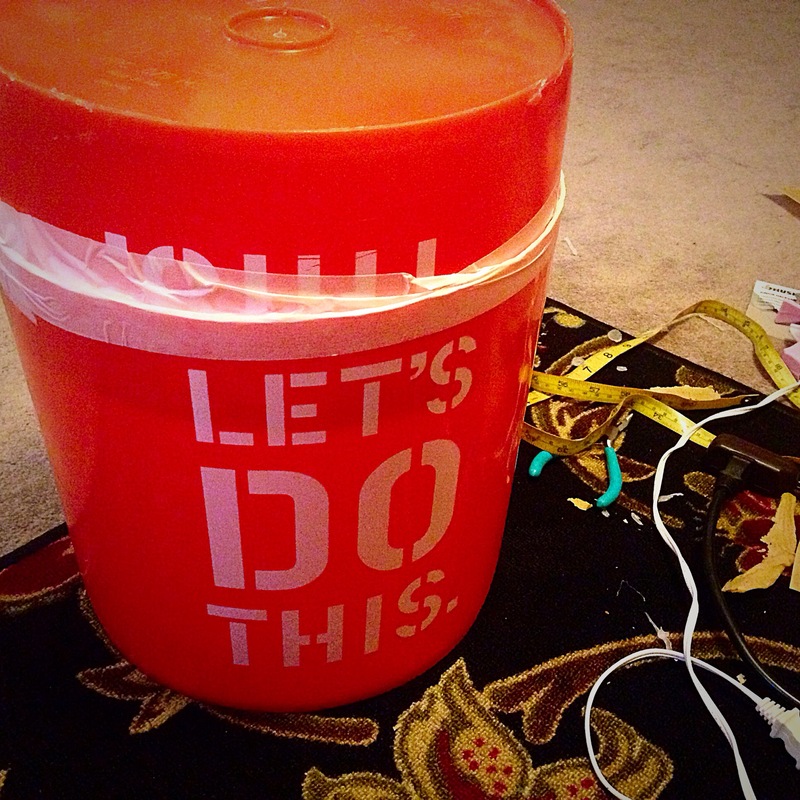 I cut the top off of two Home Depot buckets and stuck ’em together. Then I smoothed out the seams with a combination of masking tape and craft foam. First I covered the curtain rod in worbla and used epoxy glue to attach the finial to one end. Then I chose the paddle bit closest to the diameter of my covered rod and drilled a whole in the hammer head where the handle would be attached. I applied epoxy to end of the rod opposite of the finial and inserted it all they way through so that the end of the rod hit the opposite end of the hammer head. I carefully held it in place until the epoxy set and my handle was secured to the inside of the hammer head. I also added a gasket of craft foam where the handle met the head and used epoxy to secure it in place. STEP FOUR: PAINT IT BLACK & RELAX! To finish off my Harley Hammer, I used a couple different techniques. I dry brushed red craft paint over my textured parts and added some Harley touches with a bullseye and psycho laughter. I cut strips of some left over deep red velvet and glued it in a spiral pattern around the handle and added some assorted ribbon details. 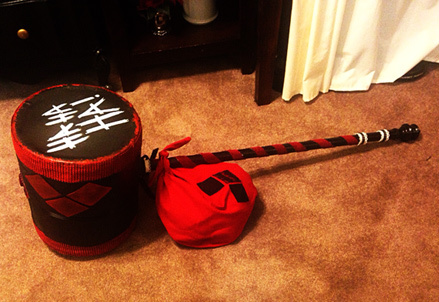 Although this mallet could be used for any Harley cosplay, I also made a little hobo satchel that we attached to this mallet to fit the Gotham Hobos theme of a group cosplay. Next Fancy Hunger Games Hats!! !